Beautiful indeed! 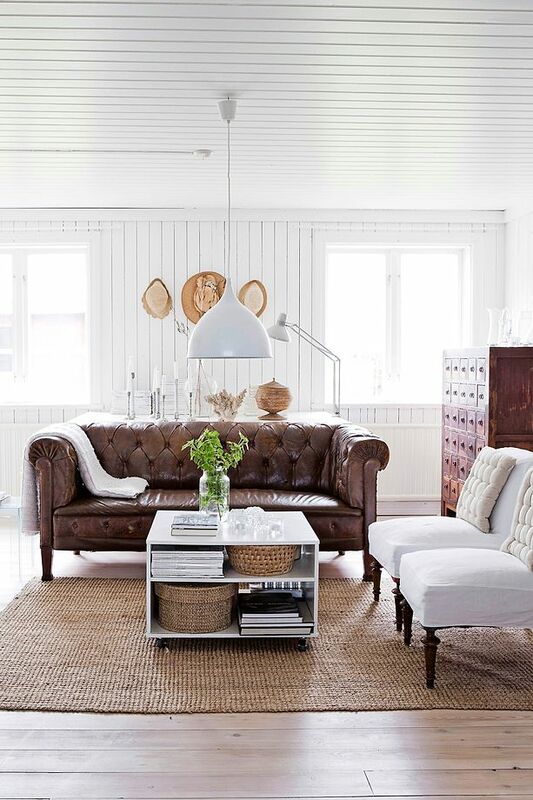 Loving that leather brown couch! Me parece una preciosa renovación. 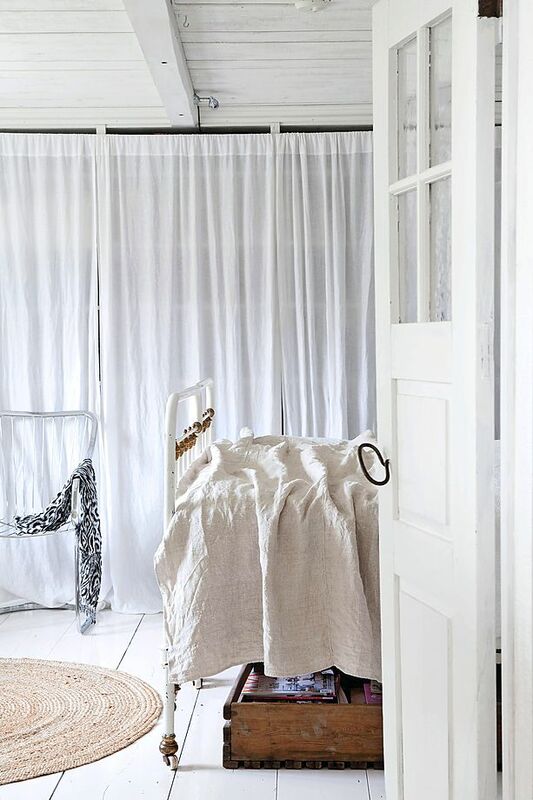 I always figured I'd want a separate closet for clothing storage, but after seeing those curtains in the bedroom, I'm rethinking that! Clever and really pretty at the same time. The saddle 'saddled up' on the beam is genius! 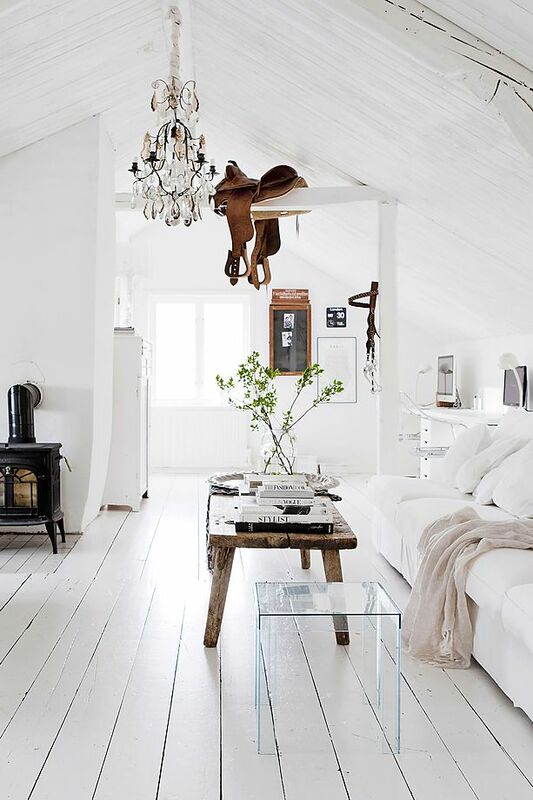 I looove of the serene white and rustic wood = GORGEOUS! 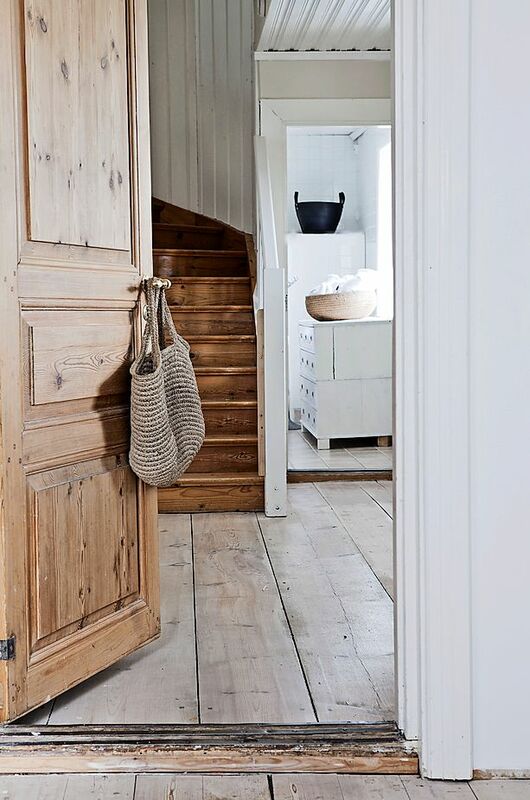 Love love love the white and rustic wood together too. 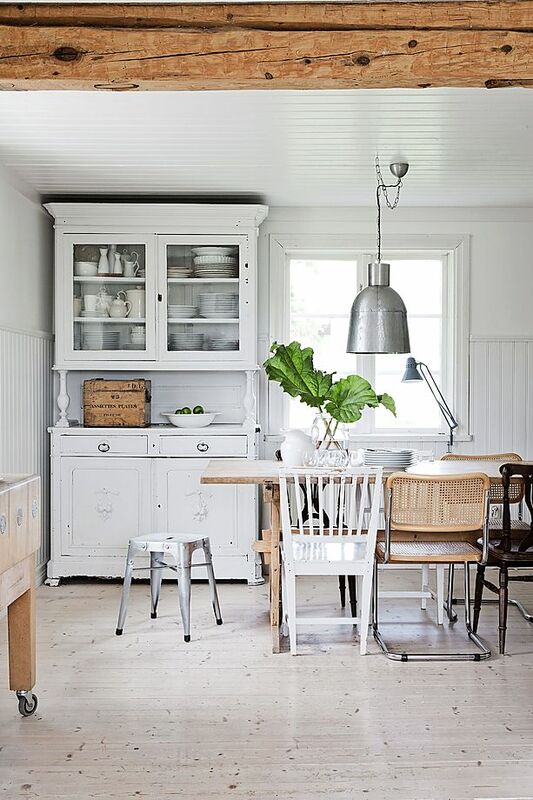 I love the kitchen, especially the cupboard. This is my dream home. Beautiful! Thank you for shareing. 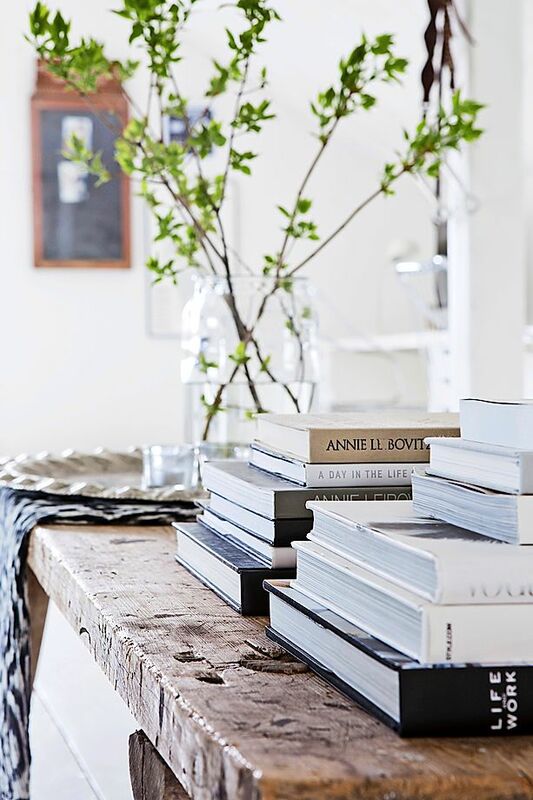 i just love effortless stacks of books, i can never seem to get it right in my own place.